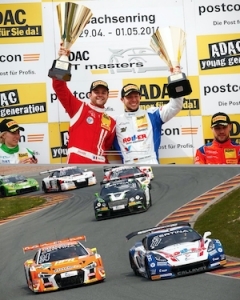 Callaway Competition wins the ADAC GT3 Masters Championship at Hockenheim! Running against formidable rivals Audi, Porsche, BMW, Mercedes and Lamborghini, Callaway Competition has won the ADAC GT3 driver and team championships for 2017. The team’s success can be attributed to the brilliant driving of Jules Gounon and Daniel Keilwitz, the inspirational team management and the car- the Callaway GT3-R- whose bodywork was designed by Deutschman Design. The next time you are at Calgary Airport be sure to ride on the Deutschman-designed passenger shuttle. These iconic purpose-designed vehicles provide passengers with an entertaining, comfortable way to move around the airport. 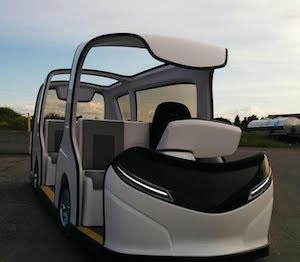 Deutschman Design was part of the Québec-based consortium that won the contract to design, engineer and manufacture a fleet of 20 electric shuttles. Callaway GT3-R wins maiden victory at Sachsenring! 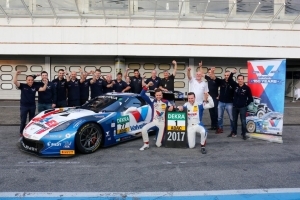 In only its second outing ever, the Deutschman-designed Callaway GT3-R won its maiden victory in Sachsenring, Germany in the ADAC GT Masters series. Congratulations to the team for building an amazing car and the brilliant driving of Daniel Keilwitz and Jules Gounon! 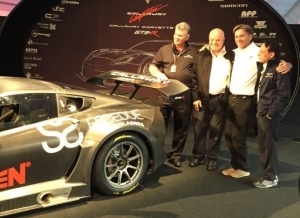 On October 3, 2015 Callaway unveiled the sensational GT3-R which features bodywork by Deutschman . The GT3-R is poised to do battle in 2016 against rivals Aston Martin, Audi, Ferrari, McLaren, Mercedes-AMG and Porsche. Reaction in the press has been wildly enthusiastic due to extremely its aggressive styling and raw carbon fiber finish. 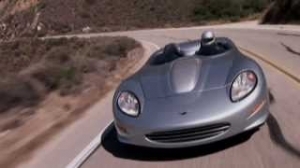 A documentary film titled "Automobile Design- the Art of Paul Deutschman" was aired on Mountain Lake PBS on January 15, 2015. 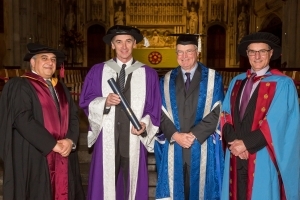 Paul Deutschman was awarded an Honorary Doctorate of Science by his alma mater, the University of Hertfordshire (formerly Hatfield Polytechnic) for his achievements in automotive design. The award ceremony took place on November 17, 2014 at St. Albans cathedral, north of London. 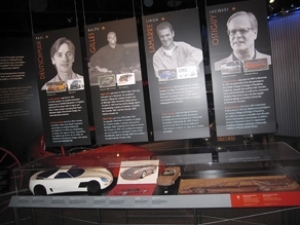 If you happen to visit Canada’s capital, Ottawa, don’t miss going to the Museum of science and Technology where a new display called “In Search of the Canadian Car”. Paul Deutschman is one of the designers featured in the exhibit and several of his models and drawings are on display- along with an interactive video! A unique event took place in October 2008, called Art and the Automobile. It was a weekend where art, photography and automobile design were the foci amidst the beauty of the Eastern Townships and a sizable collection of collector automobiles, including a number of Deutschman designs. Paul Deutschman was the Honoree at the event. Easily Callaway’s most exotic vehicle to-date, the C16 Speedster, was launched on the Concept Lawn at Pebble Beach- one of the world’s most exclusive automotive venues. 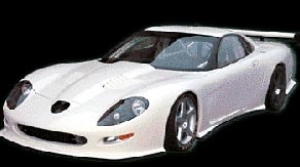 "Callaway C16 Rare Carsleuth Exclusive"
Deutschman Design was given the responsibility for the body design, development and sourcing for the C16 program. 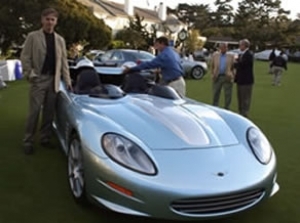 Designer Paul Deutschman posing with the Callaway C16 Speedster on the Concept Lawn at Pebble Beach, August 19, 2007. 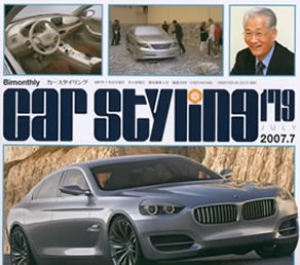 Car Styling Magazine Car Styling magazine, which is considered to be the international “bible” of car design, presented a 5 page article titled, “ The Life and Work of Montreal Designer Paul Deutschman” in its July 2007 issue. Included in the article was Deutschman’s appeal to the car manufacturers to use Deutschman Design as a satellite design studio in Montreal- a strategic and vibrant location for design activities. 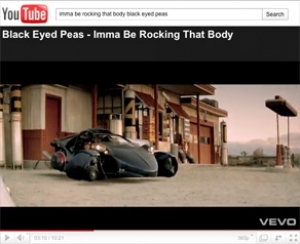 This year’s World Automotive Design Competition received about 80 entries from top design schools around the world. Paul Deutschman was selected to be one of the judges for this superb event. 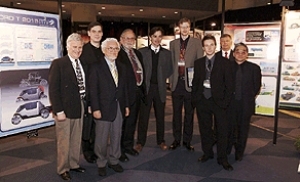 The Canadian International Auto Show, Toronto, Feb. 12, 20042004 World Automotive Design Competition Judges(left to right):Ken Gross, Automotive Industries and The Robb Report magazine, Executive Director of the Petersen Automotive Museum in Los Angeles, Chief Class Judge – Pebble Beach Concours d'Elegance; Peter Mehistaeubler, Vice-President of Product Development, Alias; Akira Fujimoto - Chief Editor, Car Styling magazine, judge of the Louis Vuitton Classic Concours d'Elegance; Robert Cumberford - Automobile and Auto & Design; Paul Deutschman, Deutschman Design; Blake Cotterill, Ballard Power Systems "Best Application of Technology" award winner; Leon Comden, "World Automotive Design Competition" best overall award winner; Ross Witschonke, Vice President Sales & Marketing, Ballard Power Systems; and Tom Matano - Director, Industrial Design Department, Academy of Art, San Francisco.Not present in the photo:Peter Horbury - Chief of North American Design, Ford Motor Company. 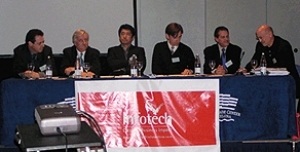 Paul Deutschman was invited to participate in the 2003 Pan-European Automotive Design Summit in Barcelona. 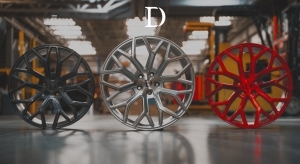 Deutschman took part in a panel discussion titled “Form vs. Function” along with the heads of design departments from Renault, Volvo, Mercedes, Mini (BMW) and Pasadena Art Center in California. Automotive Design Summit Debate Participants(left to right):Antony Grade – VP Design Renault; Prof. Harald Leschke – Dir. 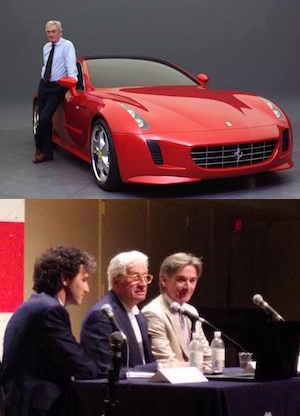 Advanced Design Mercedes-Benz; Ken Okuyama – Chair of Transportation Design at Pasadena Art Center; Paul Deutschman – Deutschman Design; Jose Diaz de la Vega – Dir. Design Volvo; Gert Volker Hildebrand – Mini Design Manager. 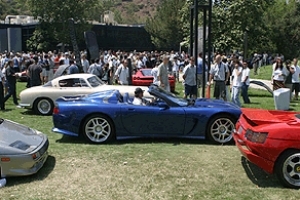 On July 20, 2003 the Pasadena Art Center held its 3rd Car Classic, an event that features dozens of remarkable cars from all eras that are presented on the campus grounds. Many of the cars’ designers were on hand. Callaway C-12 at Pasadena Art Center . The Car Classic is an excellent occasion for designers, students and car enthusiasts to get together. to compete in the 2001 Le Mans 24 hours. Don’t miss Paul Deutschman’s automotive design column featured regularly in the bi-monthly World of Wheels magazine.